With access to some of the best natural produce in the world, more and more of Canada’s chefs are taking to the countryside and foraging for unique ingredients to add to their dishes. We talk to one of the best. In a country where fiddleheads, mooseberries and chokecherries grow in the forests and spot prawns live alongside gargantuan snow crabs and world-famous Nova Scotia lobster, being a chef certainly has its merits. While suppliers still provide the vast majority of ingredients, over the past few years restaurants have started to look at what they can source themselves, with chefs venturing out into the local area and finding new flavours to experiment with. In particular, restaurants outside the main cities of Canada have utilised the beautiful landscapes that surround them – winning a string of accolades in the process. 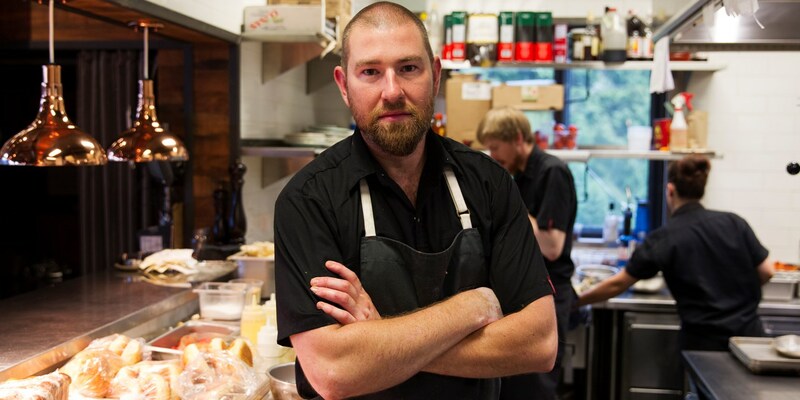 Nick Nutting is head chef at Wolf in the Fog, a restaurant in Tofino, British Columbia (a town with under 2,000 residents), and loves nothing more than going out and finding ingredients for his menu himself. With winding shorelines, lush forests and abundant oceans, British Columbia is one of the best regions of Canada to work in for any foraging chef. Taking these expert techniques and using them to turn humble foraged ingredients into elegant, delicious plates of food is how Nick has made a name for himself as a chef. The contrast between the calm, quiet surroundings of the forest as he hunts for mushrooms and the clattering of pots and pans during a service in the kitchen gives Nick and his team a complete understanding and respect for the journey their ingredients go through. Perhaps that’s why Wolf in the Fog was named Best New Restaurant in 2014 by Air Canada, just a few months after opening. ‘We have such an abundance of ingredients to work with here,’ says Nick. ‘Each province is unique and the culture and the ingredients vary drastically from coast to coast. That’s why as a chef in Canada it is easy to find inspiration. At Wolf in the Fog we use everything from Gooseneck barnacles, wild mushrooms, seaweed and wild lettuces to local wild berries, large beach oysters and local wild fish of all sorts.’ These are then turned into dishes such as Wild mushrooms on toast with pork jowl and egg, or Bamfield seaweed salad with shitake, wild rice and daikon. But while chefs like Nick have found their niche and successfully turned what they love into a successful career, it’s important to remember that Canada’s food scene is still finding its feet. With such diverse communities and international influences helping shape the food served across the country, new exciting things are happening every day in its restaurants. 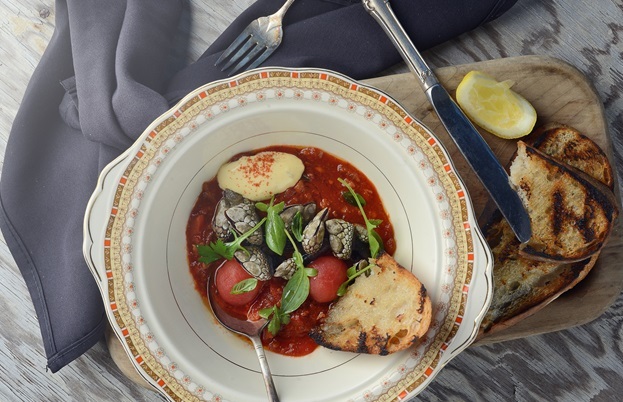 ‘There are no rules here – we are still defining what Canadian cuisine is. It's diverse and exciting; we have an incredible array of ingredients to work with. 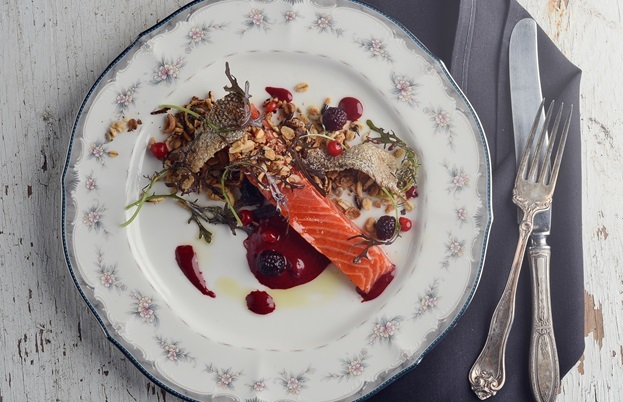 There are influences from Asia, Europe, South America –everywhere really.’ And with the international foodie community turning to Canada for inspiration more and more these days, we can’t wait to see what happens next.